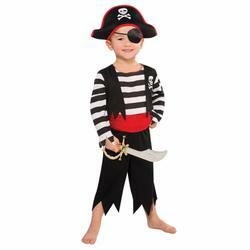 Arrr, turn yourself into a petrifying pirate this Halloween with this fantastic zombie pirate fancy dress costume which combines the traditional nautical look of a pirate with that of a horrifying zombie. 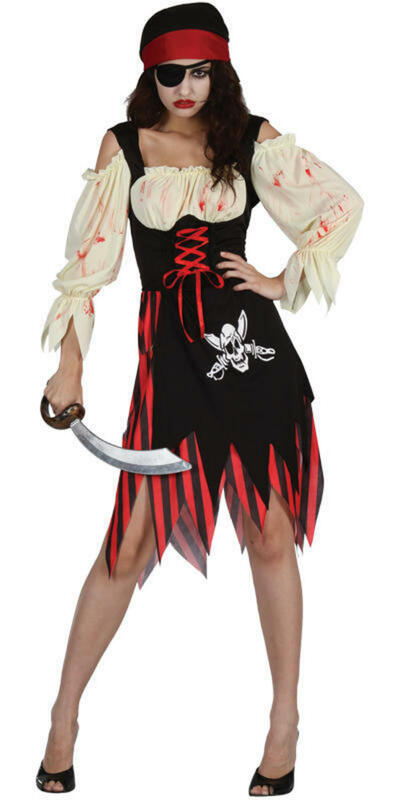 Included is a short red and black striped dress styled with jagged edge detailing to the sleeves and hemline, realistic looking fake blood and a black and white skull and cross bones print. 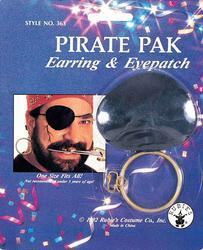 Completing the zombie pirate fancy dress costume is a red bandana and a black eye patch. 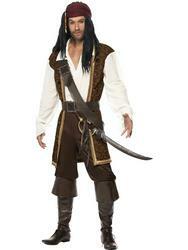 A brilliant costume for Halloween, sure to scare your friends and fellow party goers. 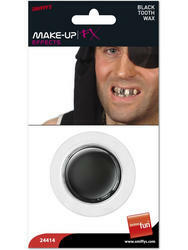 Complete the look with some Zombie makeup.